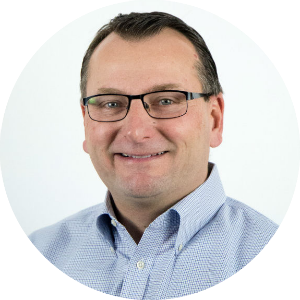 Mike is Duck Creek’s chief executive officer and also serves on the Board of Directors. He brings more than 25 years of technology, operations and insurance-industry expertise to this global leadership role, in which he’s responsible for the company’s strategic direction and overall performance. As CEO, Mike shares his passion for the possible by aligning company goals and industry experts to deliver the solutions that drive business value for insurers worldwide. Prior to Duck Creek, Mike held several leadership roles at Allstate. He was senior vice president for the agency technology and sales business units, where he was responsible for strategic management and operations. He also led the business through a technology transformation that improved interactions and communications between the carrier’s employees, agents, and customers. He joined Allstate as the senior vice president of technology and operations, where he was credited for reinventing the insurer’s claims operations through modern technology and governance, a project that impacted 17,000 employees and involved 1,000 resources on three continents. This “Next Gen” claims initiative, which he spearheaded, was honored in 2008 with two illustrious industry recognitions: “Premier 100 IT Leaders,” by Computerworld magazine, and the Pink Elephant’s Information Technology Infrastructure Library Project of the Year award. Before joining Allstate, Mike was a managing partner for Accenture’s global claims and underwriting practice in the financial services group. In this role, he was responsible for Accenture’s overall claims and underwriting product strategy and direction, which included creating the company’s pioneering software solution, Accenture Claim Components, now Duck Creek Claims. Our leadership team is comprised of industry veterans and technology experts with decades of experience solving the complex challenges unique to the P&C industry. Every one of our employees is passionately dedicated to shaping the future of insurance. We like "Why not?" more than "Why?"